I rather see rock solid performance and more game play oriented features than PBR and other rendering glitter. With sync set to false I get fps of 90 to 93 on a terrain of 1024 with loads of buildings etc. I use spot lights with wider cone angles rather than point lights, which helps. Sorry if I am getting off the subject of this post. I've only seen one level of Vectronic and it always runs at a solid 60 FPS. If you are having trouble with another map, I'd like to take a look at it. Your maps have a pretty simple design and should not have any trouble running. ..these are some shots, several years back, during ancient era of LE 2.3..
Looks awesome... I assume that game is still being made?...and using LE2? (thread is mostly off topic anyway..sorry).. I do remember LE2.5 being much faster than LE3 is currently.. but I was using LE2.5 with C#(multi-threaded) and minimal scripting and as many shaders as possible..even FXAA ... would get well over 120fps with a 4096x4096 map with tons of trees that have collisions enabled, buildings, water..all kids of stuff going on..
My LE3 version is lua only ..cant even us multi-threading among other things that would optimize my game in lua ...and I bet that above map wouldn't even run in LE3 at any decent fps.. I still wouldn't mind PBR, substance and/or plug in support though ...after the engine gets more optimized.. I noticed with vectronic that all objects appear pretty late when rotating the camera. Late enough that I thought for a moment that the room became empty. There is more important tools for 3d artists like some easy to use cinematic editor , visual programming tool for non coders working on the project, animation timeline editor , State machine and animations managers like Unity Mecanim. This is a huge helper for AI and states. Anyway like you said LE3 is more programmer oriented so coders just code the tools they need. It has been requested long time ago and it is not possible to rivalize with engines using Umbra 3 culling engine or other optimisation systems. But still there is some strange bottlenecks in LE3 as a simple scene is expected to run fast on older hardware that is able to run bigger and more complex games scenes. If some people targets older but capable 3D cards or laptops with LE3 , it's just a bad choice from start as Unity for example will run really fast on that hardware where LE3 struggles a lot. But if you target people with average good 3D cards like some 200$ GTX 960 there is no more performance problems, as with many lights and multiple active characters on my sci fi prototype LE3 game i keep a good constant frame rate. So LE3 runs really well and fast on good hardware, but it is just not made for old (but capable) 3D cards or laptops. GI and PBR is what I am most interested in seeing in Leadwerks rather than Substance support. I started to look into what makes GI work in a game engine and all the different methods of how its achieved. This is all way above my head but I checked out some stuff on ray tracing and different approaches to ray tracing and the differences between real time GI and GI that isn't real time. Without nuking my computer or stumbling across some code and getting a call from Gene Hackman telling me the NSA are gonna bust through my door (if you don't get it watch Enemy of the State). How can I get this working in Leadwerks using the Standard Edition? Is it possible? Is it not recommended? I will be honest I don't know what I am doing and I don't actually know if everything I have read or seen is correct. Right now I feel I have the answer to the meaning of life but don't know how to explain it, if anyone else wants to see this code I have or is interested in the topic as I am I would love to share. Otherwise I guess I can wait and see if something like this comes to Leadwerks rather than trying it out myself and then crying when my computer breaks or melting my eyeballs because the rays shoot out the wrong way. We HAVE occlusion culling that works the exact same way as Umbra. I wrote it, it doesn't have a marketing name, it just works. Would you feel better about it if I paid the licensing fee to put their logo in the splashscreen? You're not even talking technology at this point, this is more like teenage girls' fashion brands or something. We use one renderer that runs the same on all platforms, and we only target modern hardware. This makes the development process easier because you don't have to fiddle with a lot of settings The deferred renderer is a major draw for people to use Leadwerks, and it's going to run slowly on low-end hardware. I've heard requests in the past for a low-end fallback renderer, but every time I explored this people got angry when they realized a fallback would look no better than any other renderer designed for old hardware; they always expect Leadwerks lighting on low-powered cards. The fact it even runs pretty well on integrated graphics now is incredible. Leadwerks isn't supposed to support everything under the sun, it just provides a nice development experience and lets you get your ideas out with a result that looks good. Worrying about this kind of stuff is not conducive to releasing a game, in my opinion. What Unity is calling "PBR" is really just BDRFs, a very old technique I was working with in the development process of Leadwerks 2.0. It requires actual measurements of reflectance of different materials and I decided it wasn't worth complicating the art pipeline for something that had very questionable benefit. Anisotropic lighting is cool, but unless you are making an Ikea cookware game, they're not really important. I've heard the whole GI thing many times before, and it always ends badly. At one point there was basically an uprising here because Torque3D added support for a GI lightmapping system called PureLight, and everyone said "oh my god Leadwerks will be left behind i can't make my game without this". Months later, I announced we had a new lighting feature coming, and when I showed people the PureLight integration, the reaction was anger; It was no longer the fad of the week and they were on to something else. There's nothing wrong with PureLight's product, it just wasn't something you guys really needed. When I began Leadwerks 3, I said that I wasn't going to make what people ask for, I was going to make what they need. I'm much more interested in things like improving the workflow, adding more game-ready behavior, and a really easy networking system than I am in obsessing over the way light reflects off a surface. The benefits of deferred lighting are enormous. There's no baking or pre-processing and the lighting just looks and behaves naturally. Add some SSAO, and there's not much more benefit to be harvested, and it's time to move on to other aspects of your game. ...but unless you are making an Ikea cookware game, they're not really important. Got the full version of Substance a while back now and can't do without it these days and I know i've hardly scratched the surface of it's full potential. Really think this will be beneficial, get your logo on their clients page! Is there any chance this could happen? When I create a new project for Diffuse/Normal/Spec it is Substance referred to it as 'old gen' and makes me sad. I am focusing on game creation. 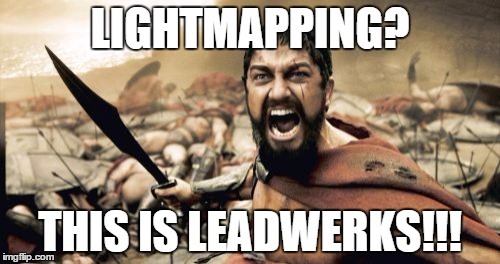 Although some people will find it useful, this product is not relevant for most Leadwerks users, so spending time on integration with it is not a high priority. So there's a chance then... I'll cling to that =). Not talking time frame, just if its a possibility. When you can do change textures dynamically like in the below example people will get interested I think. I'd be able to do things that I would never be able to work out in a shader file. I am using AMD and its really strange for me, on my projects I always get 60 fps if im not using lights with dynamic shadows and even then im roughly at 30 fps. When I first tried hunt for food, I got 5 fps even if it works for others. 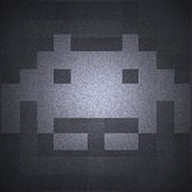 Games like the space shooter or my own games are running good. (for example vectronic demo runs at 60 fps and whenever I try some games with landscape the fps drops). Im not sure if it is caused by the terrains but it would be a point. With hunt for food I even think its not with the optimization but a glitch inside the Engine itself which has problems with Amd graphic cards. Also I notice it is only with AMD, Nvidia systems are optimized better. (its just not optimized, amd itself is the same as nvidia). For comparison I run Battlefield 4 on high at 50 fps, sometimes 30+ but its way more to render than hunt for food. --Edit: as for Hunt for Food, it runs fine for me at full screen but I have an NVidia card, so maybe there is something to your complaint with AMD cards. Without having a side-by-side comparison in systems with only the graphics cards being different, I could not comment further. But if there is a question of terrain issues on AMD card, Josh would be able to say. For the people wanting PBR, if you wanted it that bad, couldn't you just write your own shader for it? Leadwerks doesn't support linear colour space only Gamma. You want Leadwerks to be the a very "bang for your buck" game engine and to the best of your knowledge decided that Substance integration doesn't have that much bang to it relative to other features, thus putting on the backburner. It's not just an easy task. It would require a complete rewrite of the renderer. You can still use substance designer right now. You just have to use a couple more clicks of the mouse.